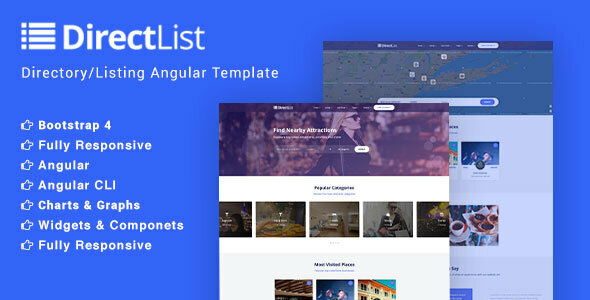 DirectList is a Angular theme that gives you complete freedom to create any type of directory or listing website Design. DirectList pages are created using the powerful front-end page builder. it also has lots of unique and beautifully designed page designs. Silk provide you Language translation, light/dark color schemes and lots of other reusable UI elements and widgets. We used Bootstrap 4 framework which provide a number of UI components. This template comes with lots of popular UI components with a very specific color scheme ,in addition it is based on a modern Angular 7 framework and has a flexible component and scss based structure.